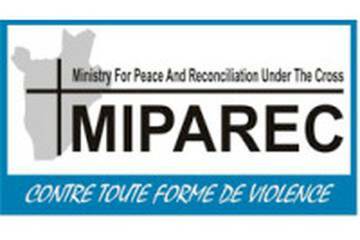 Ministry for Peace and Reconciliation under the Cross (MIPAREC) envisions building a peaceful, fair and prosperous society. Its mission is to promote peace, community development and social cohesion through training activities, reconciliation and various peacebuilding related activities. MIPAREC has opened an institute on conflict transformation which organises annual courses for peacebuilders from the Great Lakes region. MIPAREC regularly sends consultants to Rwanda to work with a sister organisation, Ibuka, in non-violent community conflict management and transformation. Effective and transformative training in peaceful conflict resolution. Weapons collection which were voluntarily handed over by civilians who used them during the conflict period. This helped reduce community violence. Successful transformative mediation of social and land conflicts in divided communities. The application of restorative justice between offenders and offended which led to a reconciliation process. Educating people on the culture of nonviolence and citizenship in general and community awareness on human rights, family management and encouraging parents to send their children to school.